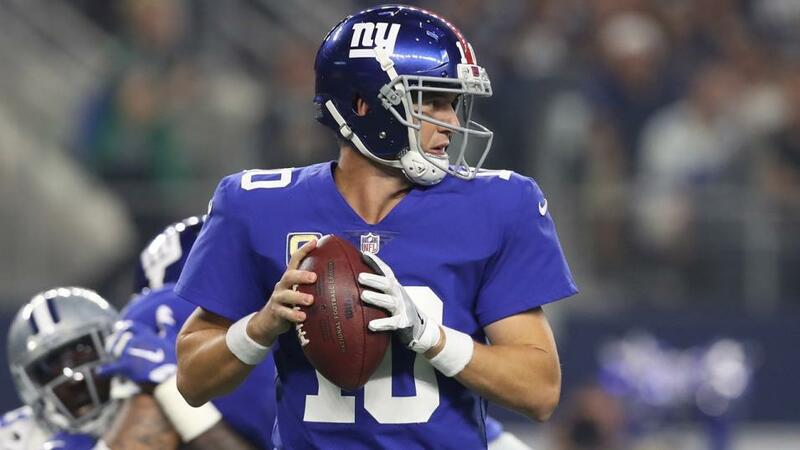 Eli Manning's future will have a big bearing on this draft as will the Giants pick a QB to replace him? "This isn't a truly great QB class. There are four names out there, any of whom could turn into a very good NFL player. The problem is no-one is coming out of college looking like Andrew Luck or Cam Newton." Going into draft night, we have some serious intrigue regarding the early picks. Last year Myles Garrett was 1/16 to go first overall and duly obliged, but there's less certainty this time round with this year's favourite at 4/6 and that is not value for money. Let's delve into the markets on the Betfair Sportsbook to see where we can find some value. For months it looked like Sam Darnold was the Quarterback that would give life to the sorry Cleveland Browns franchise. The USC Trojan lit it up in 2016 including a barnstorming performance in the 51-48 win over Penn State at the Rose Bowl. Yet his 2017 season was filled with dumb errors and he ended up with a sorry 26:13 TD/Interception ratio. This has rung some alarm bells. Josh Allen has since become the hot name. Sometimes with pre-draft buzz, it is hard to fathom out what is misinformation and what is real. The local paper in Cleveland is citing sources saying Darnold is out of the running and that it is Oklahoma's Baker Mayfield that is now the only person in the way of Allen going number one overall. I don't buy that for a second. This isn't a truly great QB class. There are four names out there, any of whom could turn into a very good NFL player. The problem is no-one is coming out of college looking like Andrew Luck or Cam Newton. Last year Cleveland weren't running any smokescreens, they made it clear they wanted Garrett, but though they are keeping their cards closer to their chest, we've heard a few whispers suggesting they have keyed in on Allen. At 2/1 in the first player drafted market, he's the value for money play here. The noise is just too loud for punters to ignore . What happens after Saquon Barkley? The Penn State running back has been viewed by the overwhelming majority of experts to be the best player in the draft. He'll be the first rusher taken, quite probably to the New York Giants with the second overall pick. The question for punters is whether any other players at the same position will join him in hearing their name called in round one? Sony Michel out of Georgia and Derrius Guice from LSU are the two names in play. Both look like having very good professional careers but the depth in the backfield in the 2018 draft is breathtaking. Outside of Barkley, you can throw a blanket over the next four to five players and can hope for a pretty similar stat line. This leads me to think that General Managers will hold back from using a first round pick on any of these guys. You can get 6/5 on under 1.5 Running Backs being drafted in the first round and that is a good odds-against bet. It has seemed for an awfully long time that South Carolina's Hayden Hurst was going to be the first TE taken, probably late in the first round to the Saints or Jaguars. I wouldn't be so sure that he's significantly ahead of the pack. With only four touchdowns in 38 career starts, that isn't exactly jumping off the screen as a stat line you'd be proud of. Here's why Penn State TE Mike Gesicki could be our first-round pick. At the combine, Gesicki knocked it out of the park with one of the most athletically freakish performances seen this year in Indianapolis. His lack of blocking ability will lead to him sliding into the second round but Goedert doesn't have that issue. This is probably a 50/50 call and you can get any other TE bar Hurst as the first taken at 7/5. At the time of writing, three players are all at 7/4 to be the first DB taken. Derwin James has been the man on the move as his price has crashed following reports Tampa Bay have zeroed in on him with the seventh overall pick. If that holds true, it would be hard to see how either Minkah Fitzpatrick or Denzel Ward jump above him. With four top-rated QBs out there coupled with Saquon Barkley and Defensive End Bradley Chubb, in all likelihood that will be the first six picks in one order or another. Even though you could've got him at a much better price earlier in the week, 7/4 looks worth a dabble for Derwin James to be the first DB taken tonight.